Did you know deodorant and antiperspirant aren't the same? When is the last time you really thought about the product you are applying under your arms? Have you ever got to 2pm and wonder why you need to reapply? Or worse, have you noticed sweat marks on your silk blouse when you arrived at work? Deodorant, which is usually our 'go-to', actually shouldn't be used to help with your sweat. Instead of doing the job you think it should be, deodorant only masks the smell associated with sweat and doesn't help to control it. Confused? I'm not surprised, as not many people realise that your dermatologist is the expert to speak to when it comes to sweat. 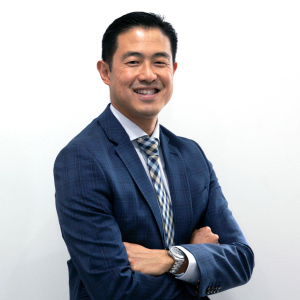 Dr Karl Ng is a conjoint associate professor at the Northern and Central Clinical Schools, University of Sydney. He completed his medical degree with first class honours at the University of New South Wales, and attained accreditation in Neurology from the Royal Australasian College of Physicians. He has undertaken 3 years post-fellowship training in Clinical Neurophysiology at the prestigious National Hospital for Neurology and Neurosurgery, Queen Square, University College London culminating in accreditation of a second specialty in the UK in this area. Question: Why do we often have to reapply our deodorant throughout the day? Dr Karl Ng: Most deodorants work by blocking the sweat pores. Some contain Aluminium but are quite safe to use. These deodorants or antiperspirants lose their concentration on the skin (from contact with clothes, sweating it off) and don't work as well unless they are reapplied. Question: Should we see sweat marks on our silk blouse after applying anti-perspiring deodorant? Dr Karl Ng: Sweat marks may be either due to the colour of water/sweat on a fabric especially darker fabrics, or they could be because of the antiperspirant. Unusually they may be due to sweat but that is usually not of a very strong tinge. The antiperspirant often leaves a white mark, and this could be alleviated by the varieties that promise 'no white marks'; alternatively, some people don't even need antiperspirant, but have worn it out of habit! Question: What is the difference between deodorant, antiperspirant and clinical antiperspirant? Dr Karl Ng: Deodorant and antiperspirant are virtually the same thing. They attempt to dry up sweat. However, some may have fragrance to mask anybody smell. Clinical (strength) antiperspirant usually contains a higher concentration of Aluminium, and are more effective at drying sweat by blocking pores. These are usually applied at night, and washed off first thing in the morning. Occasionally, a reaction with sweat produces an acid that can be irritating to skin in which case the product should not be used. Question: How do we know which product we should be using? Dr Karl Ng: Trial and error, and using the clinical strength if required. Question: What deodorant-style products do you suggest we use? Dr Karl Ng: If sweating is a real problem, then the clinical strength ones include Driclor (over the counter at pharmacy only), Rexona Clinical Protection, Dove Clinical Protection, and Mitchum. Question: Is it okay to use antiperspirant, every day? Question: What mistakes are often made with sweating? Dr Karl Ng: Although sweating is a normal thermoregulatory function, sometimes excessive sweating is the result of a medical condition, and medical advice should be sought. However, the vast majority of oversweating people sweat from restricted areas such as the underarms, hands, feet or head and neck regions. Many of these are termed 'idiopathic' or no cause found, and attention turns then to controlling the sweating in each of these areas, each with their own approach. Question: What advice do you have for those of us struggling with sweat, especially coming into summer? Dr Karl Ng: Stay cool by wearing loose clothing, change frequently, stay hydrated, and if simple and clinical strength antiperspirants don't, then seek your doctor's advice. You should certainly seek your doctor's advice if you are sweating from everywhere on your body or at night-time, as that could imply a medical problem. Question: What to do if deodorant, antiperspirant and clinical antiperspirant isn't cutting it? Dr Karl Ng: If these do not work, then seek your doctor's advice, and you may be referred to a specialist such as a neurologist. There are various options available and these include sweat stopping injections, iontophoresis, oral medication, microwave treatment or surgery.